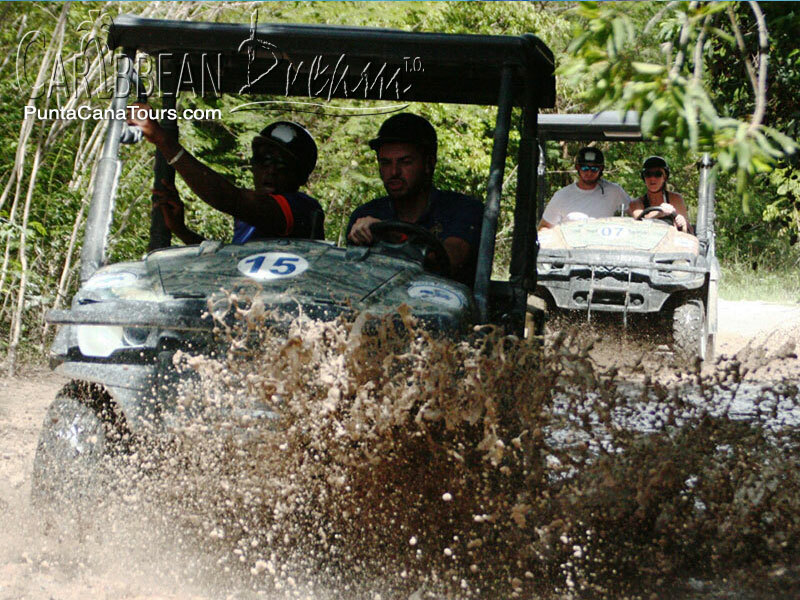 On Dual Adventures you will: Drive a buggie, Cruise in a catamaran, Swim in a lagoon and Eat lunch on the beach. Does that sounds agreeable to you? You'll have time to relax later. For now, rev that engine! 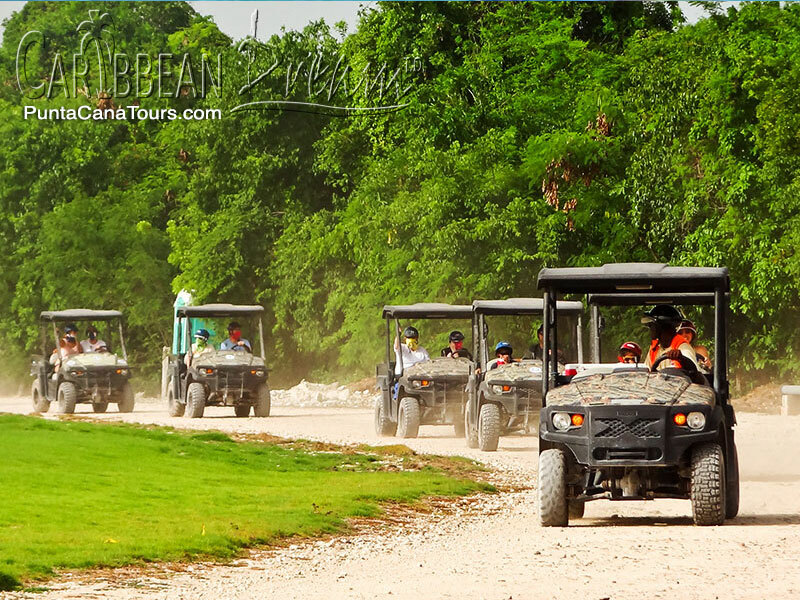 Hop into one of our automatic buggies to explore the back roads of the immense Punta Cana Ecological Reserve. Get your buggie in high gear and kick up some dirt as you cruise these private, tropical grounds of open patches and skinny, rocky trails. 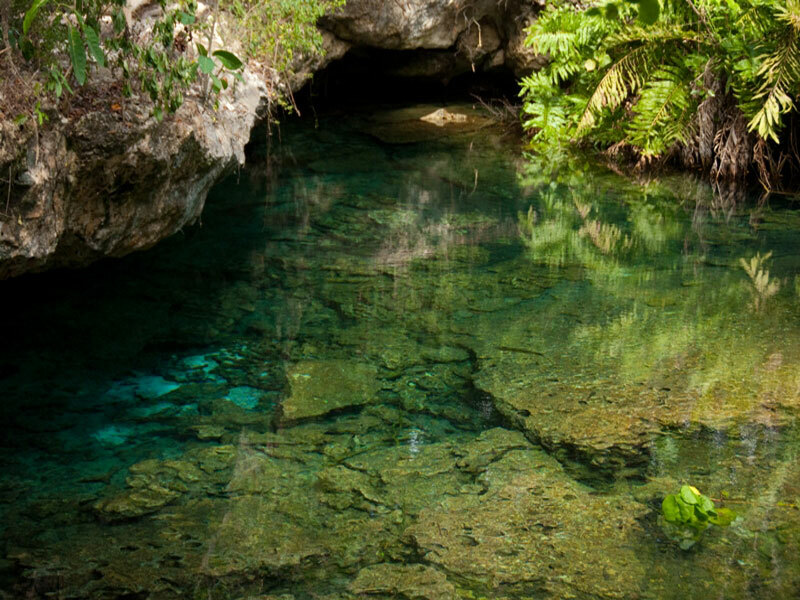 The Taino Indians referred to lagoons or cenotes as “Ojos Indigenas” or “Indigenous Eyes”. 12 lagoons are protected within the Ecological Reserve, each with a subterranean river source of pure water. 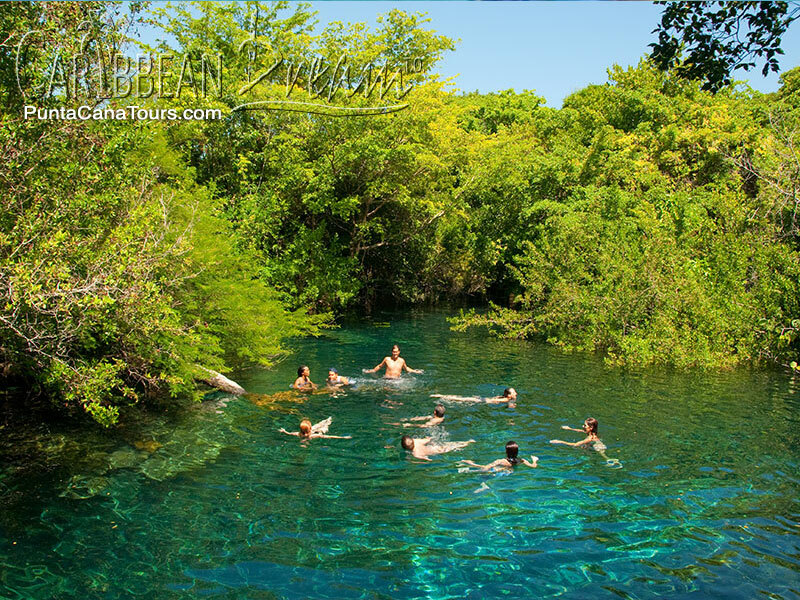 We invite you to take a dip in these crystal clear, refreshing waters under the protective shade of the surrounding mangrove forest. The water is so transparent, it looks like the fish are floating in the air! 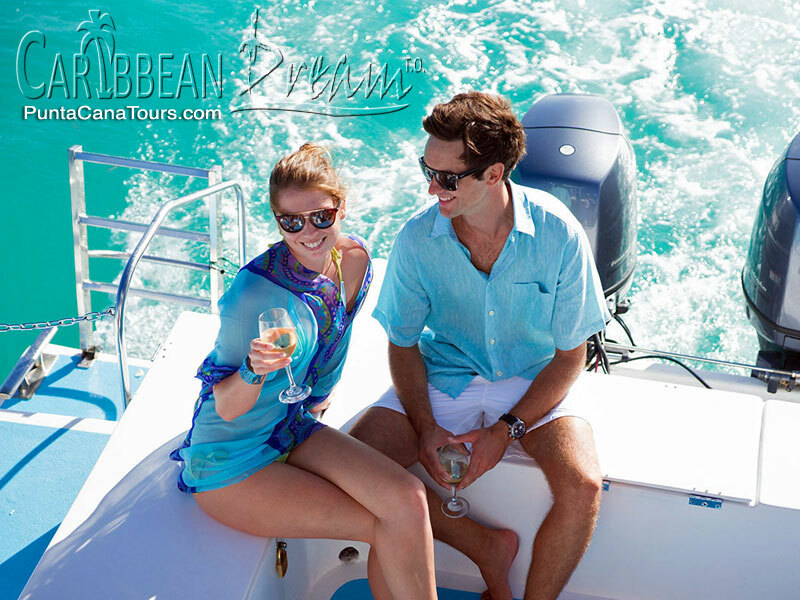 Board our spacious dual-haul catamaran and let there be open bar! 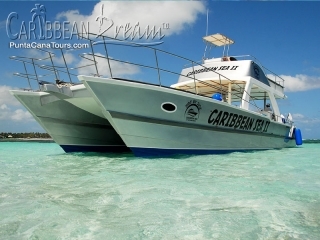 Enjoy beer, rum, mixers and munchies while we cruise the enviable coasts of the Punta Cana Club and Resort. 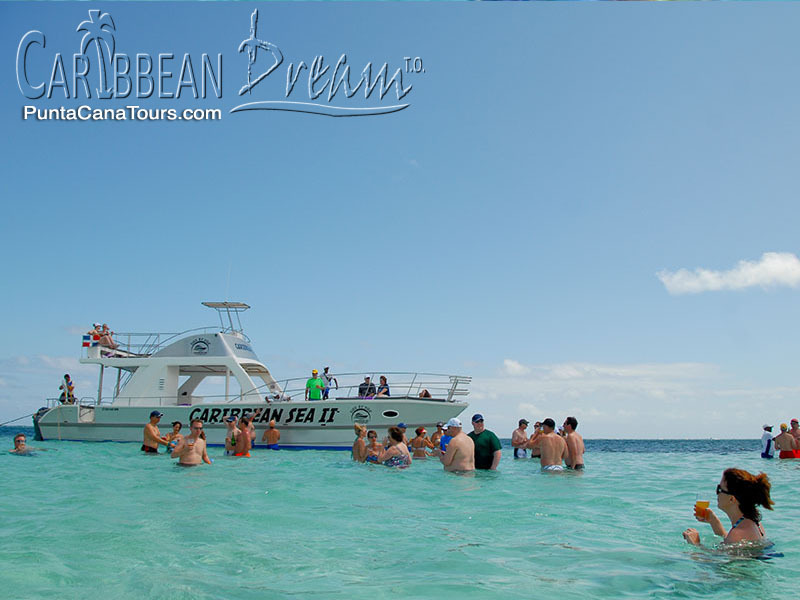 We'll stop at an awe-inspiring sandbar with waist high turquoise waters; swim, take a selfie, and grab a drink from the floating bar. Welcome to Punta Cana! It's now time for lunch at the Playa Blanca Restaurant, a casual luncheon on an idealistic Caribbean beach. 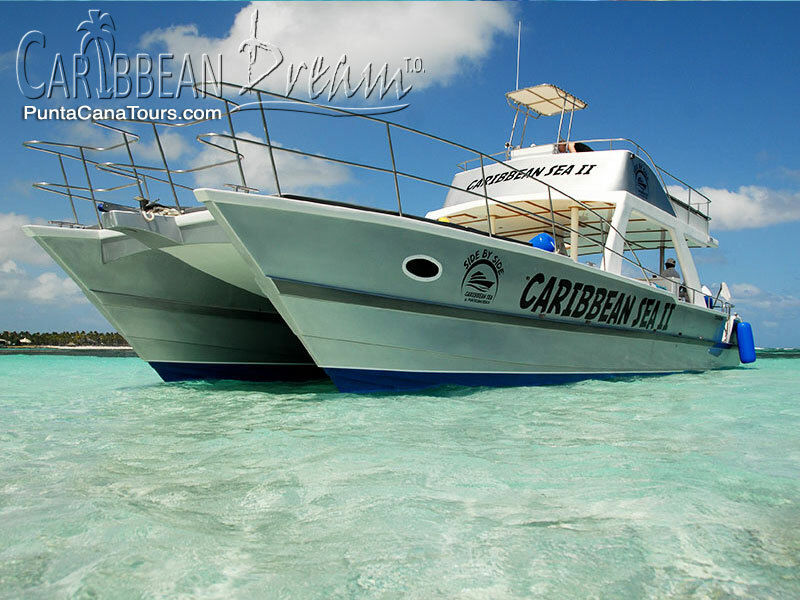 Imagine white sands and shady palms with a glassy aquamarine sea as the backdrop. Enjoy a several course meal that highlights the area's variety of seafood dishes along with Dominican staples and even dessert! 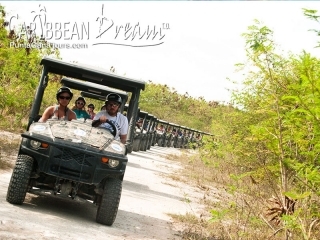 Who doesn't want to Drive a buggie, Cruise in a catamaran, Swim in a lagoon and Eat lunch on the beach? Exactly… that's why space fills up quick. So scroll down (just a bit more) and reserve your spot. We recommend you bring a bandana or old shirt to cover your face during the buggy excursion. You must be at least 6 years old to participate in this tour. Please note the order of the tour highlights described may change depending on several factors like amount of people, weather etc. This price is for 2 people riding in 1 Buggy. 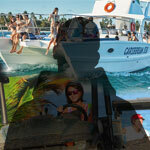 Discover Cap Cana - AWESOME!